With so many combination birth control pills available, how do you know which to use? Most are equally effective, so the best choice for you will likely come down to which is likely to produce no (or very few) side effects. The doctor who prescribes your contraceptive will be your ultimate guide, but it's always wise to be as informed as possible about any drug you take, so in this guide to making an informed decision about which birth control pill is best for you, you'll find a review of the differences between the types of pills, the potential side effects of each, and more. In general, combination hormonal contraceptives contain a synthetic estrogen (to stabilize the endometrium and reduce unwanted spotting) and a progestin (for its contraceptive effects). Knowing the differences between the progestins and about estrogenic effects, androgenic effects, and progestational selectivity can help you choose a pill with minimal side effects. To briefly explain how the combination of these activities may cause side effects, let's look at some specific combination birth control pills. Oral contraceptives that tend to have high androgenic effects and low estrogen activity, for example, are more likely to cause unwanted hair growth and acne side effects. Additionally, a progestin with higher androgenic effects may tend to produce less breast tenderness, bloating and mood changes. Since there are different types of progestins, they each have a different potency in terms of progestational, estrogenic, and androgenic effects. The result of these effects is dependent on the combination of the type and levels of progestin and estrogen. Typically, the balance (or ratio) between the estrogen and progestin in a pill brand may play a role in the side effects you are experiencing. Each woman may respond differently to these components. Also, the type of pill you may be using monophasic/biphasic/triphasic or extended cycle may help alleviate certain side effects. Because of that, please note that the following are general guidelines, and may not apply to all women. To be a little more technical, in order to determine the total combination of these three effects, a person needs to multiply the actual dose of these three components (effects) times the relative potency of that component in order to classify a birth control pill brand as having high androgenic effects, being estrogen dominant, or progestin dominant. Given the complexity of figuring this out on your own, the decision as to which birth control pill to use should be discussed with your healthcare provider. You can use this information to begin a conversation with your doctor about which pill type may be best for you. It is also important to give the pills you are currently taking a fair trial of at least two to three months. 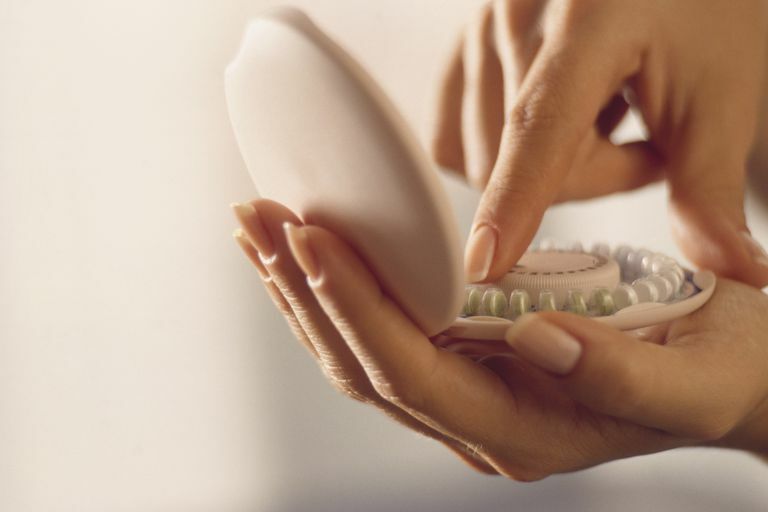 If you have switched your pill brand, you should also give the new ones a two- to three-month trial because it often takes a few months just for your body to adjust to the new hormones in your birth control pill. The following chart is a relative classification, so it may not apply to every female. When choosing a combination birth control pill, you may be able to minimize side effects by switching to (or initially picking) a pill brand suggested in the below chart based on which side effect you are trying to lessen or alleviate. Estrostep FE contains the progestin norethindrone acetate (this progestin typically has a higher androgen potency). Therefore, although Estrostep FE follows more of a high androgenic/low estrogenic pattern, this brand is a triphasic pill that was actually designed to help prevent breakthrough bleeding while attempting to keep hormone exposure as low as possible. Estrostep FE is a good example as to why the information in this chart should be viewed more in terms of being general guidelines, and may not always hold from one woman to another. Remember, every woman could react differently to specific birth control methods, so this information is meant to be a general overview. Also, it is important to point out that the main reason to use hormonal birth control is for contraception (to prevent an unintended pregnancy). Considering potential non-contraceptive benefits of birth control, as well as unwanted side effects, can be part of the discussion you have with your doctor when determining which hormonal method may be best suited for you. Jelovsek, R. Which Oral Contraceptive Pill Is Best for Me? YOUR Questions About Hormone Birth Control... Answered! Are Progestin-Only Birth Control Pills for You?